I have never flambéed anything before, and wow was torching these Apple Fritters fun! I let my son Tim, a.k.a. Sparky, due to his extreme boyish propensity for Big Bertha rockets, fire crackers, bonfires and flames of most any kind, put the match to the pan. It's probably a good thing that I had the camera in front of my face, otherwise I would certainly have lost my eye lashes. I just love family cooking projects! The recipe I chose didn't specify which type of apple to use, so I tried Cortland and Golden Delicious. While the Cortland tasted great, it was more like eating applesauce than a fritter. Should you chose to try this recipe, I suggest using Golden Delicious which is both, well...delicious and firm enough to keep its shape and texture during the frying and flambé process. 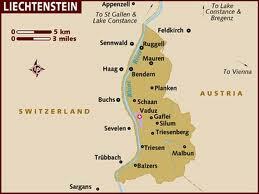 So I'll bet you're wondering where Liechtenstein is. Located in Central Europe, Liechtenstein is a doubly land locked Alpine country that borders Switzerland and Austria. It's the only Alpine country to be located totally in the Alps. Interestingly, Liechtenstein is the smallest, yet richest German speaking country and boasts the highest gross domestic product per person in the world. Cuisine in Liechtenstein is heavily influenced by it's Swiss and Austrian neighbors, as well by French traditions. Dumplings, cheese, pork, bacon, schnitzel, tomatoes, apples and pears are commonly eaten in this country. Cinnamon, vanilla, fruit filled pancakes and pastries make up an impressive array of deserts. Sift together the flour and salt into a bowl. Add the white wine and combine to form a thick batter then stir in the egg yolk and melted butter. Beat the egg white until stiff, then fold into the batter. Heat the clarified butter in a frying pan, dip the eggs in the batter, to coat, then add to the pan and fry on both sides until golden. Pour over the alcohol and set alight. Serve the fritters as soon as the flames have died down. Final Assessment: Who doesn't love a desert that's lit on fire?! Browned to perfection in butter and sprinkled with a little powdered sugar, this makes a lovely, not too sweet desert any time! I wanna light things on fire !! Actually, I want one of those little kitchen torch things but Mark won't let me have one - seems to think I'll burn down the house or something. As if I'm the dangerous one ! !